Home / Why We Love Log Homes and Cabins Blog / Vacation Memories in a Log Cabin! It’s getaway time! 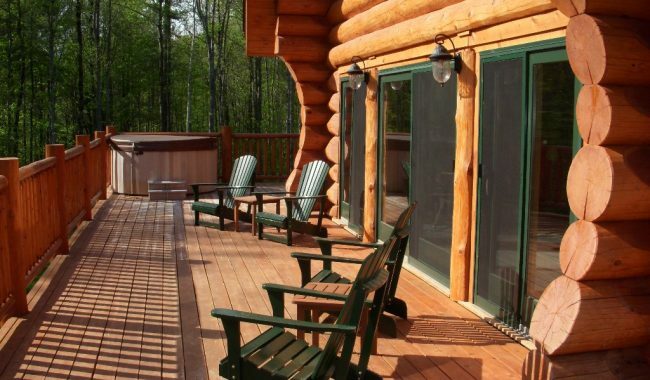 For the perfect escape, head to a log cabin! Setting up camp in the wilderness is a favourite pastime of North Americans. Whether we’re packing a tent, pulling an RV or heading out to a family cottage, nothing sets us in motion like a sunny long weekend. Lines of eager travelers wind out of the cities and through mountain passes, first world refugees getting away from it all to enjoy less for a while. Unlike desperate folks in less fortunate parts of the world who leave danger in search of a safer life, we do it backwards. Escaping nothing but comfort and convenience, we flee cities and suburban homes, leaving granite countertops and central AC to climb wild mountains, get dragged behind boats and huddle happily around a smoky campfires before crawling into sleeping bags with nothing more than a bit of nylon between us and the wildlife. Ideally we’d stay in a log cabin. 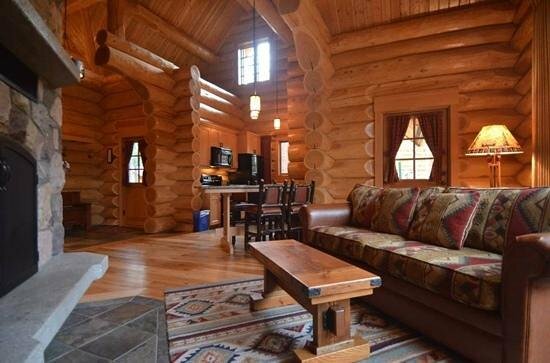 Life feels less complicated when we get back to the basics for a while and nothing beats the charm of a cozy log home. From morning coffee on a deck overlooking a lake until the late night glow around your fireplace, a log cabin (no matter what size) helps you reconnect with yourself, your priorities and your family…even in the rain or snow! Camping can be an unforgettable experience, but it’s a little more challenging for the elderly and families with toddlers. It also forces you to gamble on the weather. Campsite availability has become a nightmare during peak season as more and more people find out the hard way. (Sleeping in your car at a rest stop with two kids? Not exactly what you pictured!) Vacation rental cottages and hotel rooms are always high demand around popular lakes and limited accommodations combined with high prices can seriously restrict your chance to enjoy the experience. What makes the perfect escape? What about a log cabin of your own? With a cabin stocked and your recreational gear waiting, having your own cottage means you’ll be able to make the most of every weekend without the hassle of booking ahead, or loading up each time. Building a family vacation cabin offers a chance for several generations to pool financial resources and share hobbies like fishing and boating. Create strong bonds and memories that last a lifetime in a log cottage that can be passed on to your children and grandchildren! It’s not just about roughing it—how far you actually want to retreat from modern amenities is entirely up to you! Some hardy pioneer wannabes find the greatest peace when they’re completely off the grid with a stack of firewood and an outhouse nearby. Others are not afraid to insist on luxury after the day’s adventures. Whatever category you fall into, a custom log home offers unlimited options from “back to basics” to breathtaking rustic elegance…your custom log cabin will fit your needs, style and budget perfectly. Blending easily into the landscape, the raw strength of a handcrafted log cottage lets you relax completely in your wilderness retreat knowing it will stand for centuries. Waking up in an authentic log cabin you’ll find yourself closer to nature and a past when life was a little less complicated! Wood home construction really doesn’t get more real than this and handcrafted log building is an exciting process every step of the way. Unprocessed logs, hand-peeled and scribed to fit tightly are stacked and joined in much the same way pioneers built early log homes, showcasing the unique organic character of each tree. If you’ve got a favourite holiday destination and you’re up for a little adventure, consider getting away to a log cabin built just for you and your family! All log work custom designed to create one of a kind dream homes! Each log individually selected and hand-peeled. 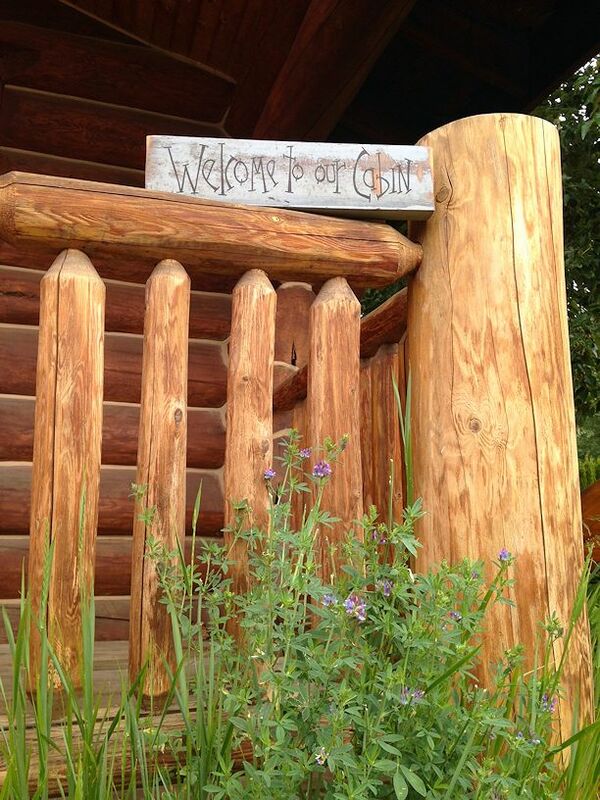 Only the best logs and craftsmanship in every log home and cabin. Call 1-877-955-2485 or contact us online today!